A baby shower is a joyous occasion. It’s how family and friends gather to celebrate a pregnancy and prepare for the arrival of a little one. 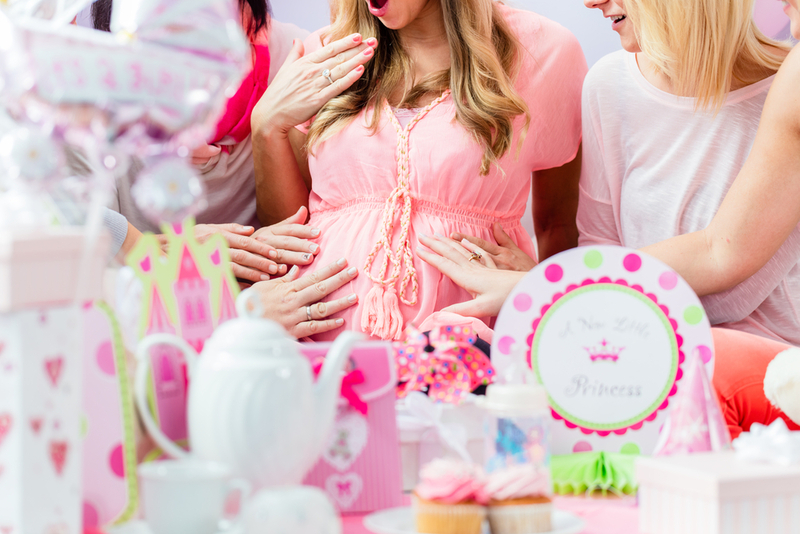 Baby showers are typically planned and hosted by someone close to the mother. If you’ve decided to take on the role yourself, there are some ways to prepare for the big day. In fact, preparation is the key to putting on a successful event. 1. Decide when to have the event. Showers are typical thrown several weeks before the baby’s due date. They’re meant to help prepare new parents by providing them with many of the things they need for their child. Because newborns require so much, it’s a way of defraying the costs of parenthood. It’s also to celebrate the child’s arrival and provide them with something special to remember their loved ones by. 2. Choose a location that accommodates the guest list. You’ll want to have the shower in a place where there is enough seating available for all the guests. It can be your home if you’re having a smaller, more intimate get-together. It can be a park or recreation center if there are many people invited to the event. You’ll know which location is preferable to the size of the guest list you put together with the help of the parents-to-be. 3. Start a pool to buy a large ticket item for the baby’s parents. Something like the Lovey’s Artificial Intelligence Baby Monitor costs more but is a present that pays for itself over time. If you want to ask people to donate money to purchase a larger ticket item rather than have them spend money on lots of little presents, you can do so easily through the internet. If you have a PayPal account, you can use your personal link to collect funds. You’ll know exactly who pitched in, too, because you’ll receive their personal details when they send you a payment. 4. Decide what games to play and snacks to serve. This is one of the most fun things you get to do. You can decide which games to play and which types of refreshments to serve. You can have them tie into the baby’s nursery theme, too, making it extra special for everyone involved. 5. Round up one or two people to help you decorate and set things up. You’re going to need some help to make sure that everything goes as planned. Recruit one or two people to assist you with getting things done. You’ll need them to help you decorate and get the food and drinks set up. Planning the perfect baby shower for someone you care about is a lot of fun. Sure, it requires work, but the result is incredible. Your family member or friend will beam from ear to ear when she finds out that you’ve gone to the lengths you must make the event special for her.